At the beginning of the month we welcomed a friendly visitor into our classroom named Elfis. He is a classroom Elf on the Shelf and is here to monitor our positive school behavior this month. Elfis is creative in the places he likes to perch, and sometimes even leaves treats on the desks for the students. The kids have found that the better their behavior is, the sillier Elfis is. One of our favorite times of the day is morning meeting. It is a time when we can come together, share with one another, get to know each other on more personal levels, and even be silly. 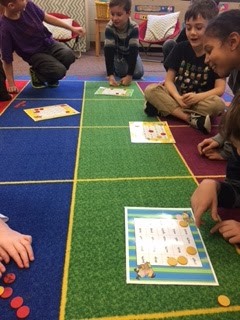 It is fun to play games during this time, and this week we played sight word Bingo. The students seemed to really enjoy this morning meeting activity! 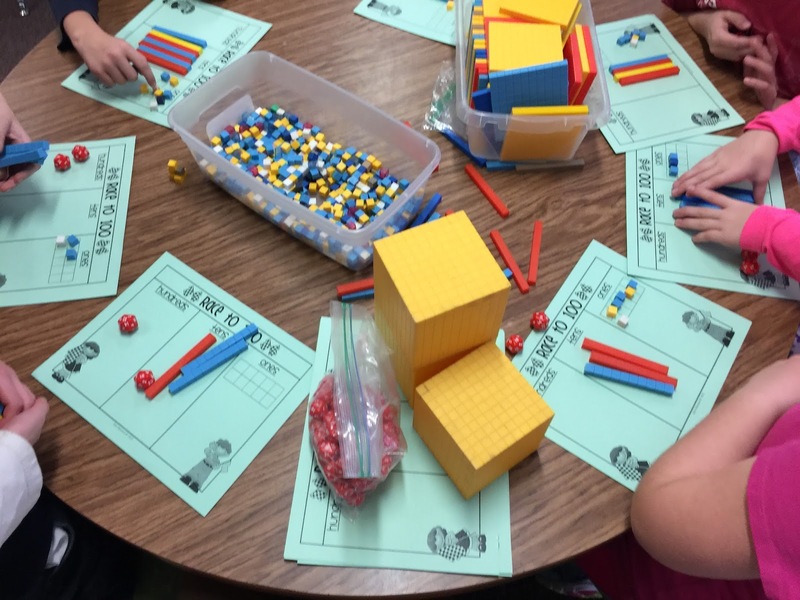 Students in Mrs. Humphreys' small group math have been playing a game called "Race to 100". Students roll 2 dice, add the numbers together, build with blocks, and regroup as needed until one person is the first to reach 100. As the week progressed, we add 20-sided dice and played "race to 1000". Today we just couldn't stand watching all of the fluffy beautiful snowflakes fall from the sky from indoors. So we went outside for math! We learned about using "shorthand math" to represent larger numbers. 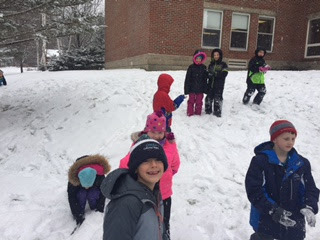 It was fun drawing shapes and symbols to represents different values in the snow. We culminated our math period with snow angels.